Sold for $1,250,000 Just Sold! Very nice, completely detached, Mid-Century (circa 1949) 3BR split-level home. Main level has large living room with ornate fireplace & outlook to Mt. Davidson, formal dining room opening into the upgraded kitchen with stainless steel appliances and newer quartz countertops. Middle floor has one bedroom, top floor has large master bedroom with great Mt. Davidson views, Art Deco-style full bathroom & 3rd rear bedroom with views of St. Brendan's Church. Sparkling HW flrs throughout. 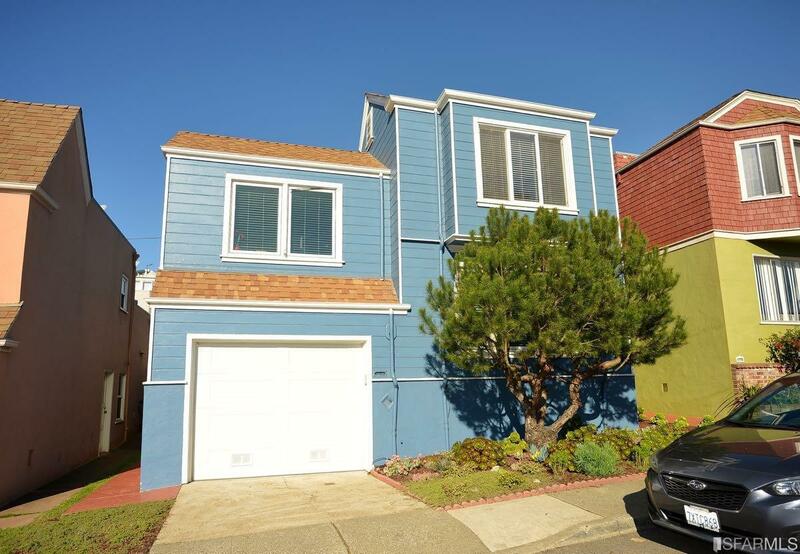 Walk to Miraloma Market, Mollie Stones, Starbucks, restaurants & CVS Pharmacy. Short drive to West Portal shopping area. One-car parking with storage. Very transit friendly easy access to BART, Muni, Hwys 101 & 280.